If you create your circuit board layout with KiCad, please observe the following tips. We are happy to take care of generating the production data (Gerber export) for you. You just have to send us your .kicad_pcb file along with your order. All further steps are taken care of by our CAM engineers. If the uncomplicated Gerber (and drill file) export in KiCad is carried out by yourself, you can check your finished production data directly in the integrated Gerber viewer. This helps avoiding queries. 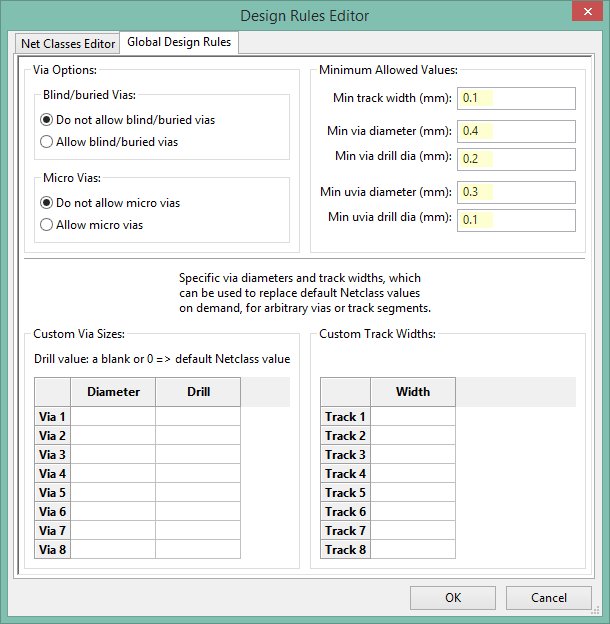 We naturally import your ODB++, Gerber-, KiCad-, Target-, Eagle-, IPC-2581-, DPF- and Sprint layout data free of charge! The KiCad program is a complete project manager with a number of integrated modules, such as circuit diagram generation (Eeschema), circuit board layout (Pcbnew) or a Gerber Viever (GerbView). KiCad is open source, and thus available free of charge. You can start the Gerber Export under File / Plot. In the Plotting dialog, you define the layers to be exported. Please activate the function "Subtract soldermask from silkscreen" to avoid silkscreen on the pads. You can usually use default settings for all other options. 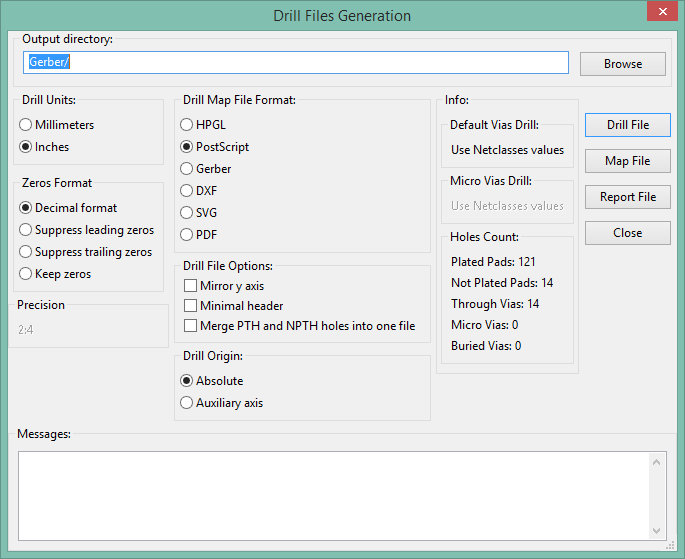 After the Gerber export, you start the drill file export from the same window (Generate Drill File). You can usually use default settings for all other options. See also KiCad manual, p. 30 - PDF page 35. By default, KiCad uses Protel's tried and tested filename extensions for Gerber export. Please use the default setting. You can now check your complete production data. Pack all into a zip file which you can with your PCB order.